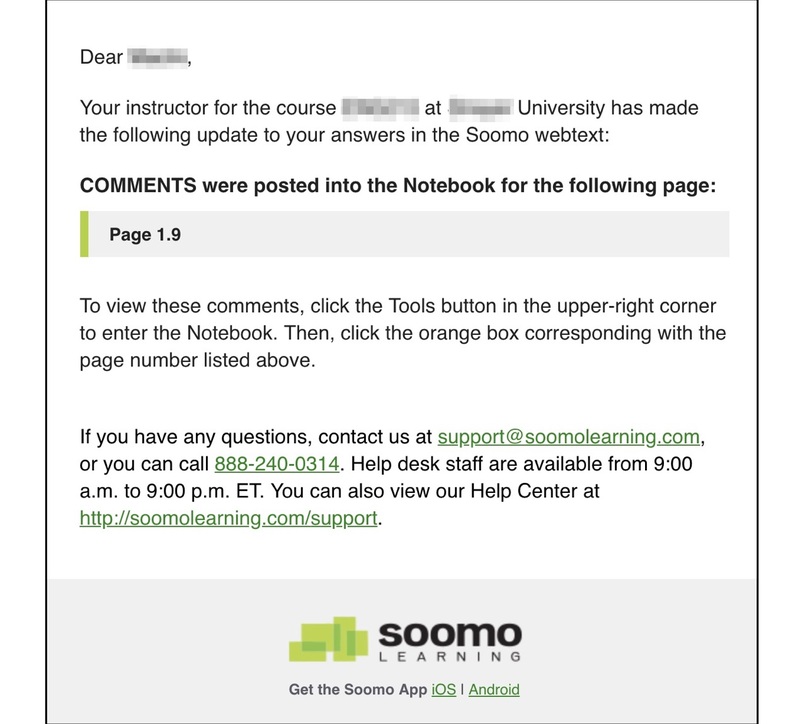 If your instructor has commented on one of your short answer, response board, or writing template responses, you will receive an email notification letting you know where to find the page with the comment. You can view these comments in two spots. The first is in the webtext. 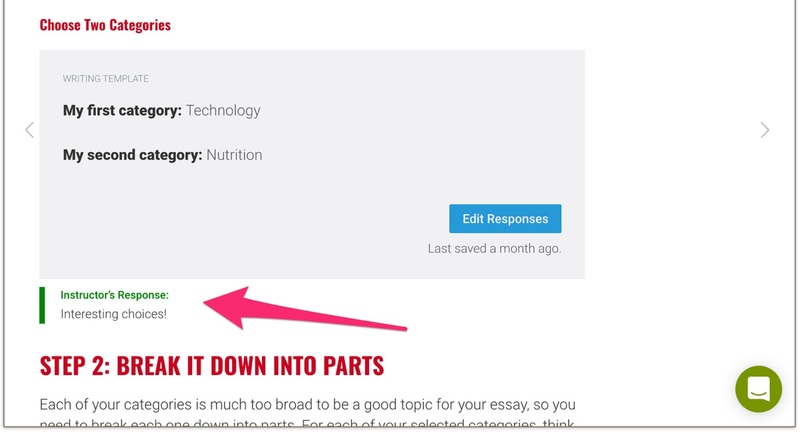 Navigate to the page and scroll down to the question or writing template. The other place to view instructor comments is in the Notebook (see here for more information on using the Notebook). 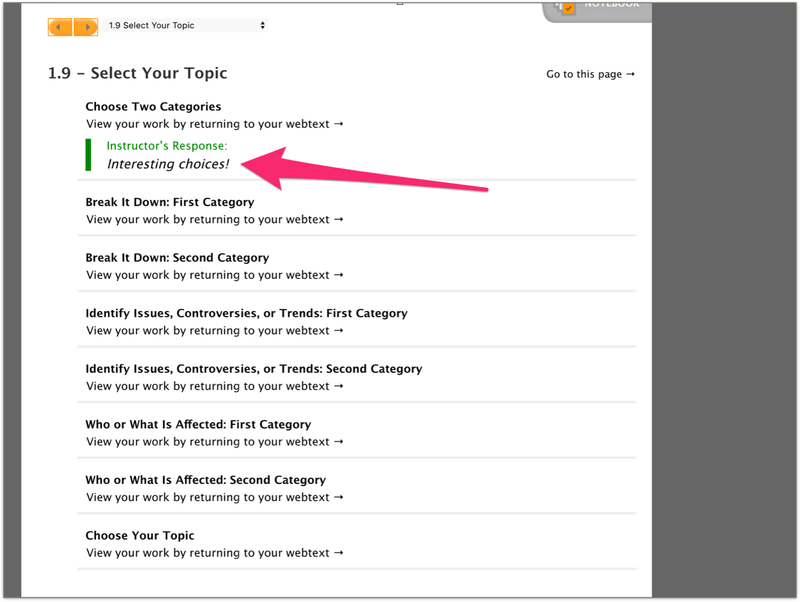 Click on the page with the comment and scroll down until you see the question or writing template.